Winnipeg First Aid is the leader in provincially and workplace approved cardiopulmonary resuscitation (CPR) and first aid training in Winnipeg. It has been holding first aid programs within the Winnipeg area since 2010, and has become the main first aid and CPR training service provider in the city. 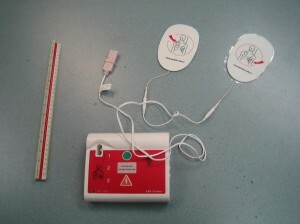 Participants that enrol in these courses will learn about legal implications of first aid, infections, choking casualties, circulatory and respiratory emergencies, broken bones, splinting, seizures, poisoning, allergic reactions, wound management, spinal injuries and many more possible life threatening emergencies. Emergency and standard first aid courses, stand-alone CPR classes, and refresher courses are available to participants looking for workplace or academic required courses. Participants looking to enrol in CPR and first aid courses can find more detailed course information on the Winnipeg First Aid website here. For more information about this training location, see the map below. St Mark James training certificates are awarded to trainees who are able to complete a training course. The certificate is valid for three years throughout Canada, for whatever purpose it may serve the trainee. This St Mark James training provider offers re-certification classes for participants that need current certification for workplace or school purposes and need to refresh an expiring award. 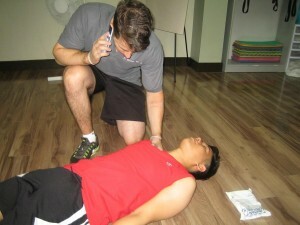 Winnipeg First Aid offers the most affordable course rates within the Winnipeg area. Rates include taxes, certification fees, and training manuals. Potential trainees are assured of no additional expenses with Winnipeg First Aid. Courses range from 50 dollars to 130 dollars based on the type of training course. Full refunds are given to trainees who are unable to complete their enrolled course, provided a 72-hour notice was done. For more information about course prices visit the Winnipeg First Aid website today. Basic first aid classes are focused on skill development of bandaging, wound care, and variations of choking rescues, among other first aid skills. A lot of class hours are spent practising these skills the latest training mannequins and even on fellow trainees. Stand-alone classes for basic first aid or CPR and AED are available to trainees who do not want to undergo the entire training course. Private courses are offered to big groups of trainees and companies as well. Bleeding can be mild or severe. Severe symptoms warrant immediate medical attention and the victim should be brought to the ER as soon as the symptoms are noted. Listed below are severe symptoms of bleeding that a first aid rescuer should know.